My art career germinated in the open fields and paddocks of the farming environment around my home town of Wangaratta Victoria. My painting is driven by a deep affinity with the love of the natural land and landscape. I like to experience and explore this deep connection with a design journey to new and exciting horizons with vibrant colours. 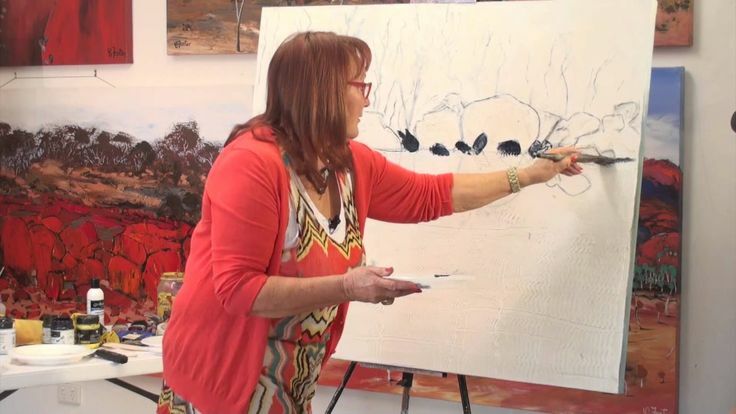 My paintings began as abstract and after 20 years of exploration have now become abstract landscapes of the incredible outback Australian natural beauty. I have always felt a spiritual link with the earth and outback Australia and love to share my views and feelings with strong and exotic colours and textures with large canvases. Inspiration from Australian artists such as Whitely, Percival and Juniper all influenced my development. I like the idea of taking the viewer down many lanes to treat their delights with interesting colour combinations.